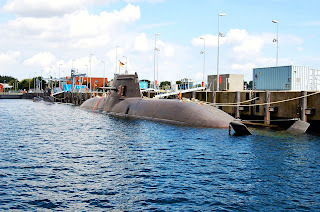 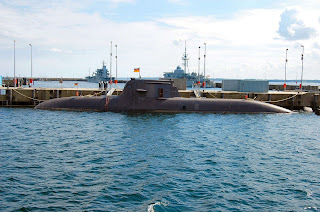 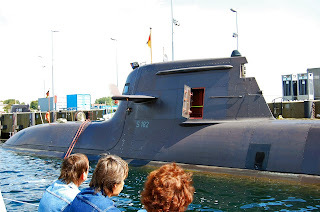 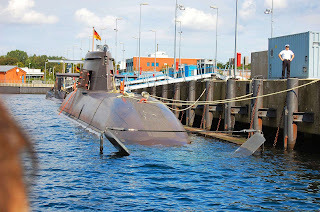 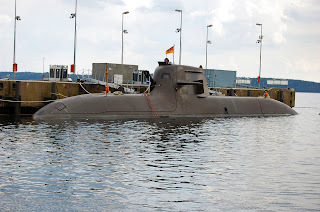 The German navy Type 212 uboat is one of the most advanced conventional submarine in the world, It is powered by one diesel engine and an electric motor of air-independent propulsion (AIP) system using hydrogen fuel cells. 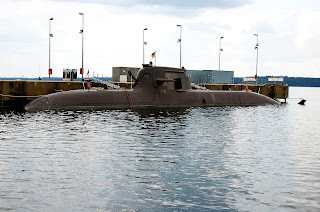 The submarine can operate at high speed on diesel power or switch to the AIP system for silent slow cruising, staying submerged for up to three weeks without surfacing and with no exhaust heat. 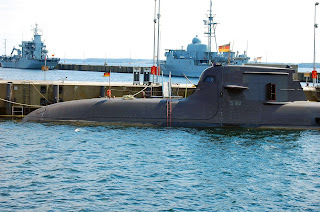 The sub is also said to be extremely quiet and virtually undetectable,A notable design feature is the prismatic hull cross-section and smoothly faired transitions from the hull to the sail, improving the boat's stealth characteristics.